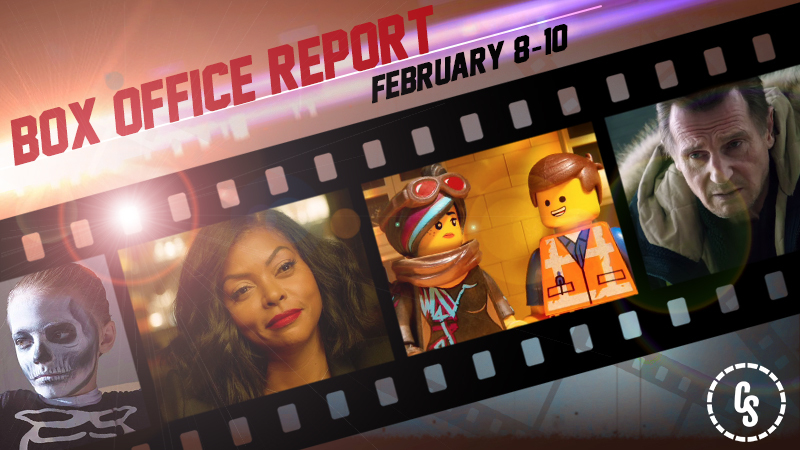 The LEGO Movie 2 Wins the Weekend, But Opens to Half of Original | Share It Us! Warner Bros. Pictures’ The LEGO Movie 2: The Second Part took the top slot at the US box office this weekend, but suffered a major drop from the original film. The sequel opened with $34.4 million domestically, a near 50% drop from The LEGO Movie in 2014 which opened in $69 million in the same release slot. 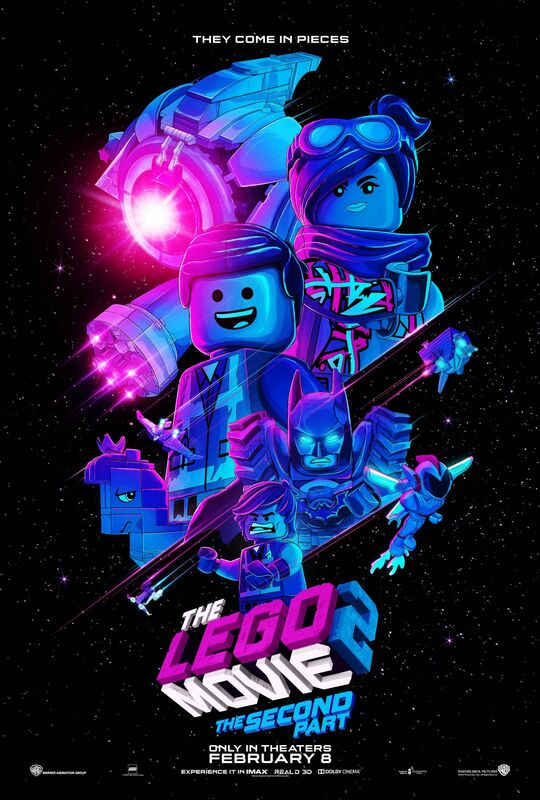 Internationally, The LEGO Movie 2 opened with $18 million internationally. The first film finished its theatrical run with $257 million domestically and $211 million internationally, something the sequel will need to hustle to catch up to. Reprising their fan-favorite characters from The LEGO Movie include Chris Pratt, Elizabeth Banks, Will Arnett, Nick Offerman, and Alison Brie. They are joined by Tiffany Haddish, Stephanie Beatriz, and Arturo Castro. Mike Mitchell directed the sequel. Paramount Pictures‘ gender-swapped comedy What Men Want opened in second place, bringing in $19 million and nearly matching its production budget already. The film is star Taraji P. Henson’s highest opening since 2014’s No Good Deed. Also starring Tracy Morgan, Aldis Hodge, Richard Roundtree, Wendi McLendon-Covey, Pete Davidson and Erykah Badu, Adam Shankman directed the film. Liam Neeson’s latest revenge thriller Cold Pursuit opened in third place with $10.8 million, the lowest of his various revenge themed action vehicles. Emmy Rossum and Laura Dern co-star in the film with Neeson, directed by Norwegian filmmaker Hans Petter Moland. STXfilms and Lantern Entertainment’s The Upside slipped from second to fourth place, bringing in $7.2 million. The film has now brought in $85.8 million domestically. The Upside has now grossed $8.9 million internationally for a global total of $94.7 million. Directed by Neil Burger (The Illusionist, Limitless), The Upside stars Kevin Hart, Bryan Cranston, and Nicole Kidman and is a remake of the 2011 box office hit French film Les Intouchables. M. Night Shyamalan’s Unbreakable/Split follow-up Glass fell to fifth place, bringing in $6.4 million and pushing it to $98.47 million domestically. Internationally the sequel now sits at $123 million, giving it a global total of $221 million. Bruce Willis return as David Dunn in the film starring alongside James McAvoy, Samuel L. Jackson, Sarah Paulson, Anya Taylor-Joy, Spencer Treat Clark, and Charlayne Woodard. M. Night Shyamalan wrote and directed the film. The post The LEGO Movie 2 Wins the Weekend, But Opens to Half of Original appeared first on ComingSoon.net.